Enterprise Holdings was named the 2014 Champion of Enterprise by the Missouri Chamber of Commerce and Industry. Enterprise Holdings is a Missouri-based company that has grown significantly since its founding in 1957. But for company leaders, the most telling bottom line is something else — customer satisfaction. The company invests heavily in receiving accurate, up-to-date information detailing which of its locations are hitting the “completely satisfied” mark, and which are falling short. The data is backed up by tens of thousands of telephone surveys each month. As a result, the company’s brands consistently rank at the top of the J.D. Power Rental Car Satisfaction Study. But beyond ensuring that the company’s lofty service goals are being met, the customer satisfaction data also drives decisions about employee promotions and development opportunities. When Enterprise finds a young leader who achieves consistent satisfaction results, the company steps on the accelerator for his or her career. 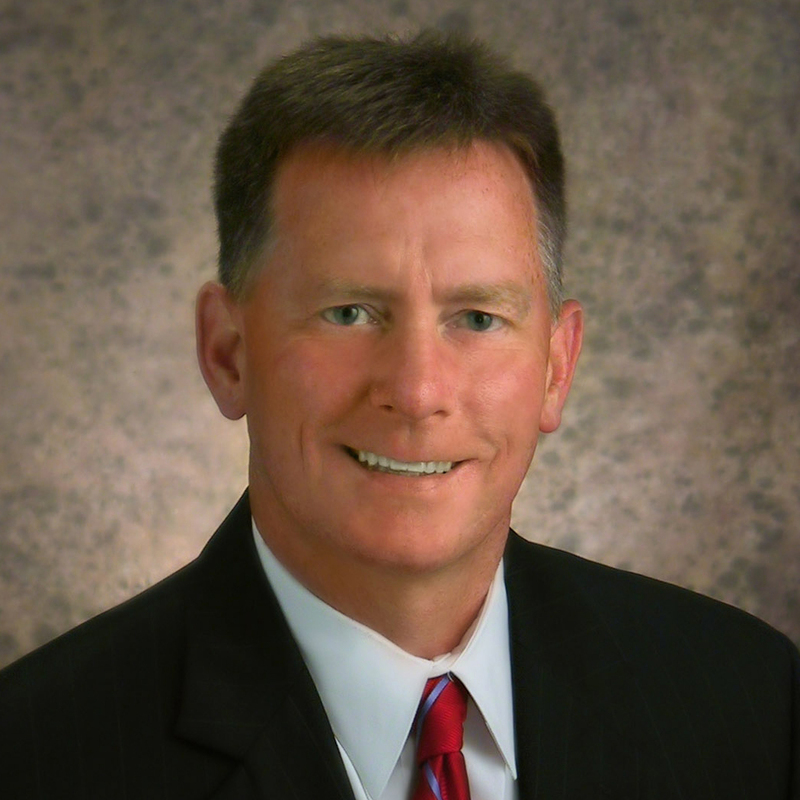 As a young man, Jack Taylor had his mind set on becoming a business leader. He enrolled in college in 1940. 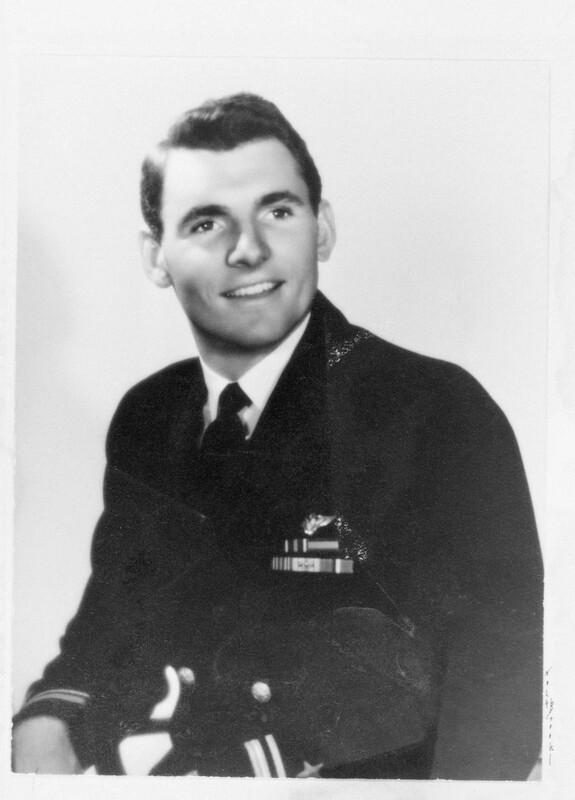 But when the United States entered World War II, Jack left school and joined the Navy. The war took him to the South Pacific where he served as a F6F Hellcat pilot. During this time, aircraft carriers were his home, including one carrier that would become the most decorated ship in the Navy’s fleet—the USS Enterprise. Enterprise Holdings founder Jack Taylor. Back in St. Louis after the war, Jack focused again on business, starting a delivery service company. Later, he got a job selling cars at a local Cadillac dealership. After nearly a decade at the dealership, Jack offered his employer a business proposal—why not partner on a business focused on the relatively new area of automobile leasing? His employer liked the idea and cut a deal with Jack, which included substantial risk for the young entrepreneur. He had to agree to invest $25,000 in the deal and cut his pay in half. The company launched in 1957 with a fleet of seven vehicles. It was called Executive Leasing Company. Twelve years later, as the growing company expanded beyond St. Louis, Jack decided to change the name to Enterprise. The new name honored the USS Enterprise and a time in Jack’s life that taught him team spirit, hard work and integrity. 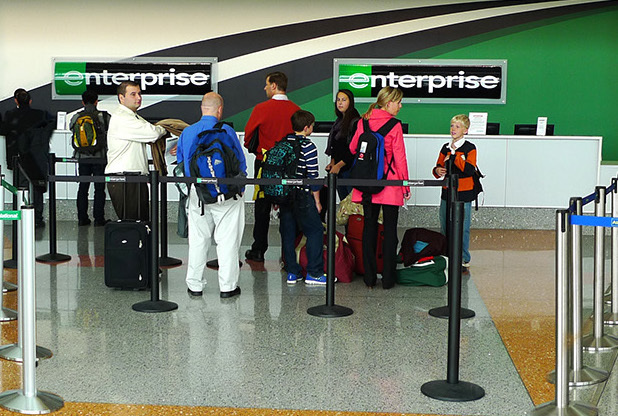 With its new name, Enterprise continued to grow with a focus on renting cars from neighborhood locations, in contrast to competitors which rented primarily from airports — Enterprise didn’t open its first airport location until the mid-1990s. Enterprise also set itself apart by pioneering the practice of picking up their customers, which led to the company’s famous “We’ll Pick You Up” slogan. In 2007, the business expanded significantly when it acquired Alamo and National. During these decades of growth, Jack and his son Andy Taylor, who took leadership of the company in 1990, have opted to keep Enterprise private as a family business. Yet, the Enterprise family continues to grow. Today, there are nearly 80,000 people working for this family business — including Pam Nicholson, who was promoted to CEO in 2013 and exemplifies Enterprise’s development of leaders from within. In employee recruiting materials, Enterprise heavily promotes the company’s Enterprise Management Training Program. The company touts that the program puts new leaders in position for career advancement, teaching them how to motivate staff, attain strong customer satisfaction and maximize profits—essentially giving them the tools of a successful entrepreneur. With this training, Enterprise promises new hires that the sky is the limit for their career inside the company. If prospective employees have any doubts, they need only to look to the current CEO. 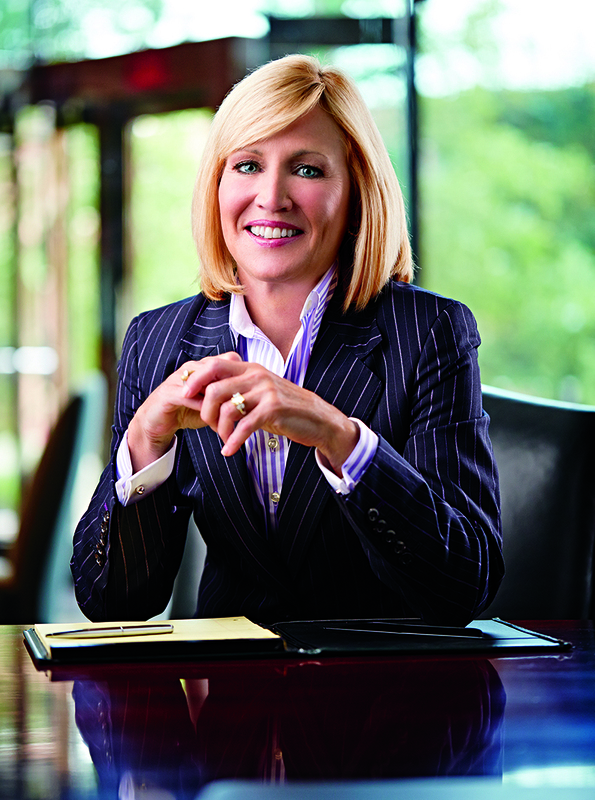 Enterprise Holdings CEO Pam Nicholson. Pam Nicholson joined Enterprise Rent-A-Car in 1981 — fresh out of the University of Missouri. She participated in the company’s internal management training program and was quickly promoted. She transferred from St. Louis to southern California, where she continued to rise through the ranks, helping to greatly grow Enterprise’s business in the region. She later served in executive positions in St. Louis and New York — her career trajectory illustrating the company’s desire to promote based on results rather than longevity. She made company history when she became the first woman and first non-member of the Taylor family to be named chief executive officer. Today, she regularly ranks among the most powerful women in the world. With the success that Enterprise has experienced, the company also makes great efforts to give back. In this work, the company takes direction from the employees who live and work in the thousands of communities that Enterprise serves. The company’s foundation has given more than $200 million to nonprofits engaged in community improvement and other projects. The vast majority of those funds—87 percent—fulfilled employee requests for donations to help their local regions. The company and its employees also give generously to the United Way, with Enterprise matching 50 percent of employee contributions. The company now ranks among the nation’s leading corporate givers to the United Way. Many employees are also actively engaged in community organizations. “In addition to charitable giving, Enterprise employees are active members of nonprofit organizations that improve our communities, industry associations to which our business customers belong, and business organizations such as the Missouri Chamber that enhance our ability to be successful,” Wagner says. Something has changed. Enterprise’s commitment to customer satisfaction has apparently been eroding and about to reach the level of crisis and, in my opinion, will affect the company in many negative ways. I don’t know where all you “award bestowers” are getting your info, but all you have to do is read the complaints in Consumer affairs and Enterprise”s own website to see that the cancer is growing. Some fundamental change has resulted in the hiring and nurturing of managers whose primary characteristics are hostility and bulling. Interesting. My Christmas Holiday, which I had planned to spend with my children and grandchildren, was ruined by one of these “new style” managers in the most amazingly aggressively bad customer service I have ever heard of. I was in such a state of shock that I had to stay home and spent Christmas at home alone. The rental car sat accumulating snow in my driveway, before I took it back two days or so later. I’m retired from a 30 year career which required much travel and car rentals. Probably well over 100 car rentals, all of which occurred without incident. When I complained about this aggressive and bulling manager’s behavior towards me, I was shocked when I was contacted by phone by an even MORE bullying and Angry individual (apparently the regional manager) presumably sent to rectify the situation. Reading other cusomers reviews over the ensuing months, has convinced me that this problem is systemic. Sad really, when a company loses their primary message. The one which provided them with so much success in the past. This had to be said. I wholeheartedly agree with Victoria’s comments and shared her distress on a recent National Rental Car experience in Milwaukee. They have sadly forgotten about Jack Taylor’s founding values and his commitment to customer satisfaction and customer care.